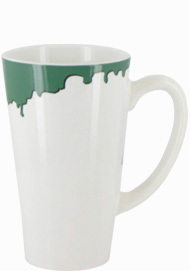 16 oz Cody Funnel Latte Mugs. 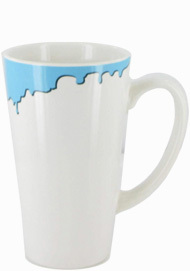 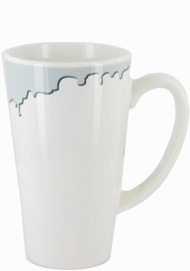 The Cody line of Latte cups are white coffee mugs with a color accent "drip" design around the lip of the mug. 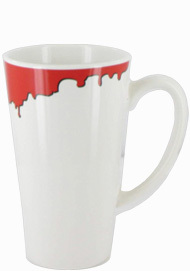 These brand new mugs come in four different accent colors.